This upcoming title from CMON, designed by Phil Walker-Harding (Barenpark, Imhotep, Sushi! Go), promises to be a more gamer-y version of Potion Explosion. It features a marble dispenser for collecting together the components needed to complete your gadgets (in the form of recipe cards). As with Potion Explosion, the items you complete can then also be used to trigger additional effects in the shape of chain reactions. I wasn’t a massive fan of Potion Explosion, but I did enjoy the concept. 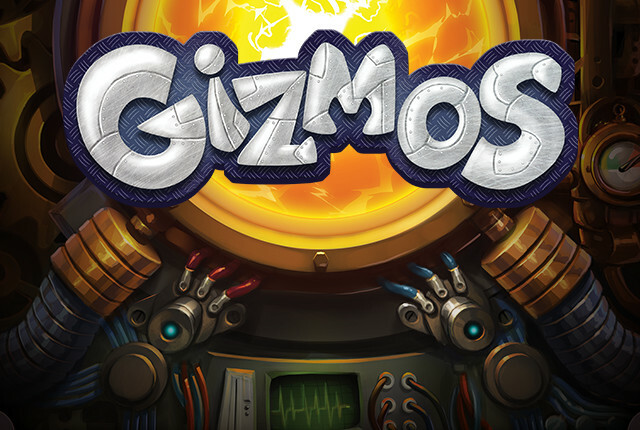 Gizmos promises to be just a bit more meaty and leaves the player in a little more control of their destiny, which all sounds good to me. Add in decent production quality from CMON and the ever dependable design nous of the Australian designer and we’re onto a promising start! Pre-order for £26.95 at Meeples’ Corner. My wife (Claire) loves Ticket To Ride and I teased her with photos of this at the UKGE, when Lewis and I sat down to play a game of it. It’s small and compact, light game play, but carries off the same strategical depth as its grandfather. It’s so small it should have “Travel Edition” printed on it. I can see myself keeping this in the car for those handy occasions when you are in a coffee shop and you could just pull this out and start playing. And this can play up to 4 players which is cool and also a bonus. Pre-order for £15.95 at Meeples’ Corner. Ignacy Trzewiczek now has a fair few hits under his belt: Neroshima Hex, Imperial settlers and Robinson Crusoe: adventures on the cursed isle to name but a few. With Detective he looks to further expand his co-op pedigree, casting players in the role of modern criminal detectives. The base box released later this month provides 5 different cases for players to solve in what looks like a combination of classic escape room style puzzle and riddle solving but interestingly then combining real life investigative work. Players will have access to a large on-line simulated database to investigate potential suspects and read old trial transcripts etc,, but are also encouraged to research different areas of history, or political groups etc on-line to add to the information they have to help solve the case. This looks like an interesting new concept quoted by the designer as “breaking the 4th wall” of boardgaming. I do like a good puzzle solving game and the additional element of being able to use my researching skills to boost my boardgaming success (I’m a mean Googler!) only tempts me more! Pre-order for £36.50 at Meeples’ Corner.